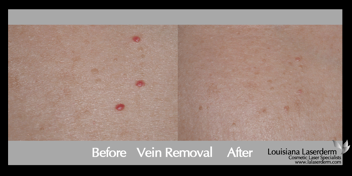 Spider veins and broken capillaries on the legs and face can be easily removed using laser therapy. 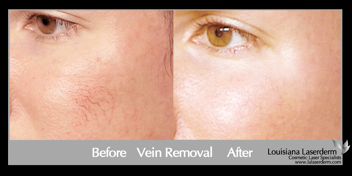 This therapy is designed for vessels and is safe, effective and affordable. 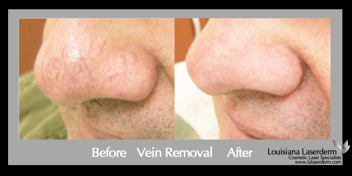 Our staff have been successfully treating unwanted facial veins, rosacea and spider veins for over 10 years. Schedule a consultation today and see what we can do for you. Results may be achieved in as little as one treatment. Downtime is minimal.